Legacies of the Montreal creation, Fort Ville-Marie was the first French settlement built in 1642 and the administrative centre of the colony founded by Paul de Chomedey de Maisonneuve and Jeanne Mance. 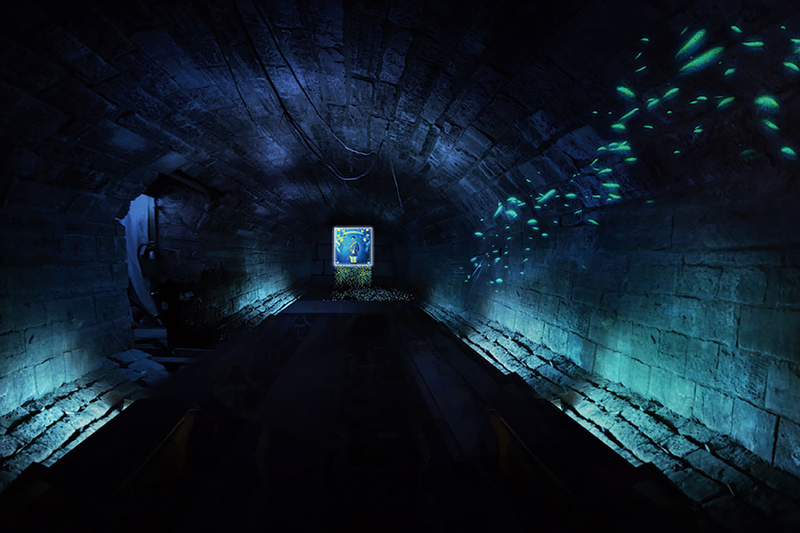 It is also the place to discover the first collector sewer, which is the only way to reach the Pointe-à-Callière Museum’s new exhibition hall. 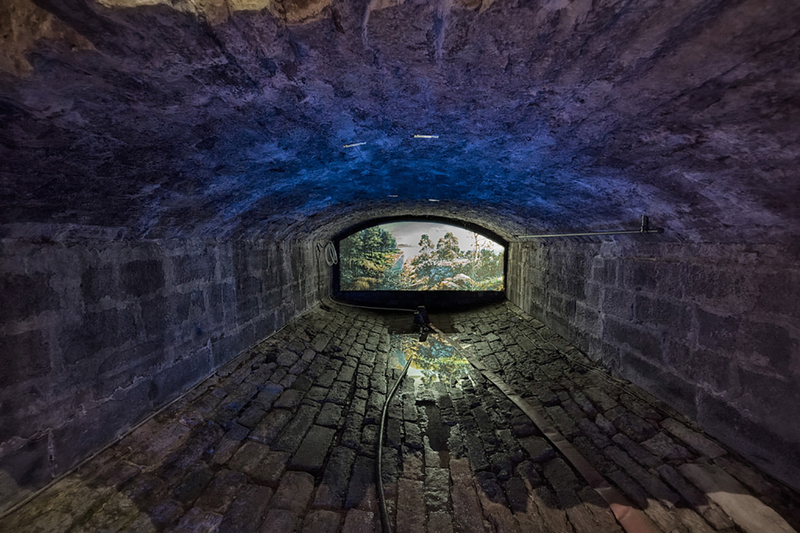 In order to offer a visitor experience focused on discovering the remains of Montréal’s birthplace, we were chosen for our museum know-how and expertise in developing scenographic solutions that are both invisible to the public and functional for museum operators. 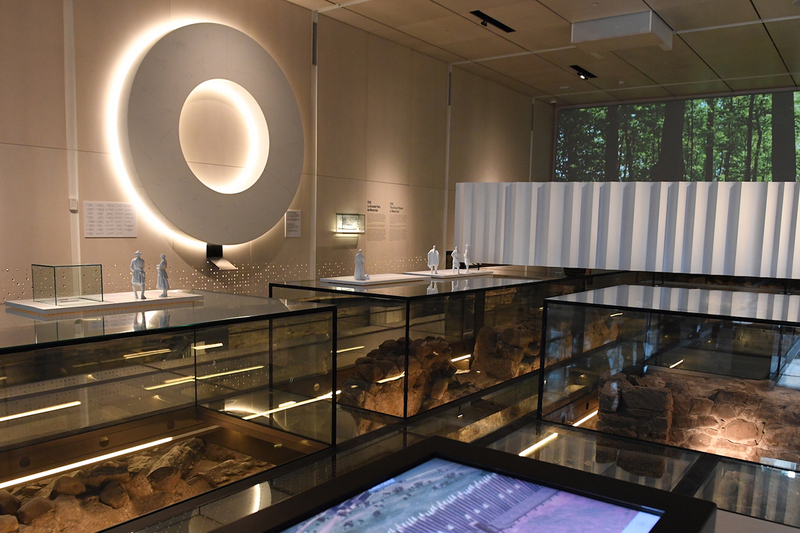 In order to be able to highlight the remains, a meticulous work was carried out with the project team to develop an LED lighting solution that would not affect the remains encapsulated under a glass floor. The challenge was to find a solution that would allow the remains to be seen without drying them out and accelerate their degradation caused by the long-term heat release from the appliances. Particular attention has been paid to the fine integration of infrastructures for both the collector and the fort. One of the challenges was the integration of services under the collector bridge, which is a floodplain.